A quite amazing discovery by one of our dear Thrasher's Wheat readers and supporters. 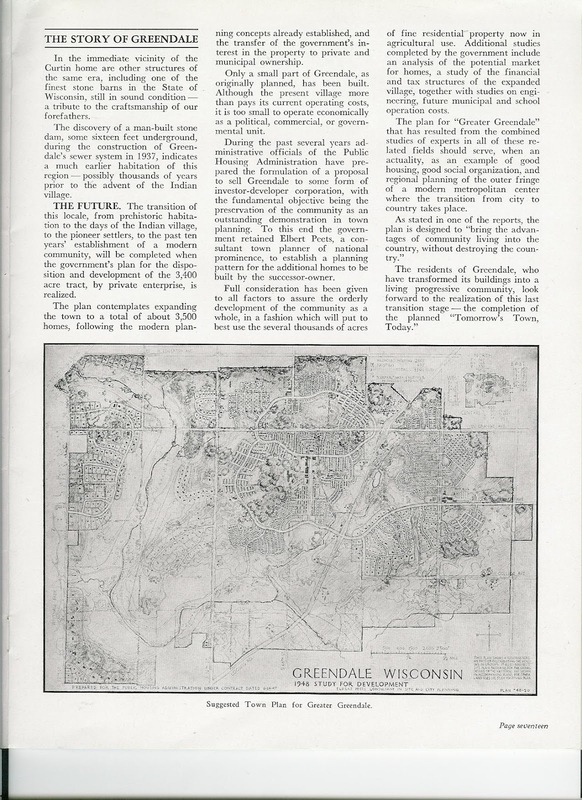 Given the recent highlighting of the Greendale album on the Neil Young Archives (NYA), we thought this would be an excellent time to share a preview of "this is Greendale" brochure. 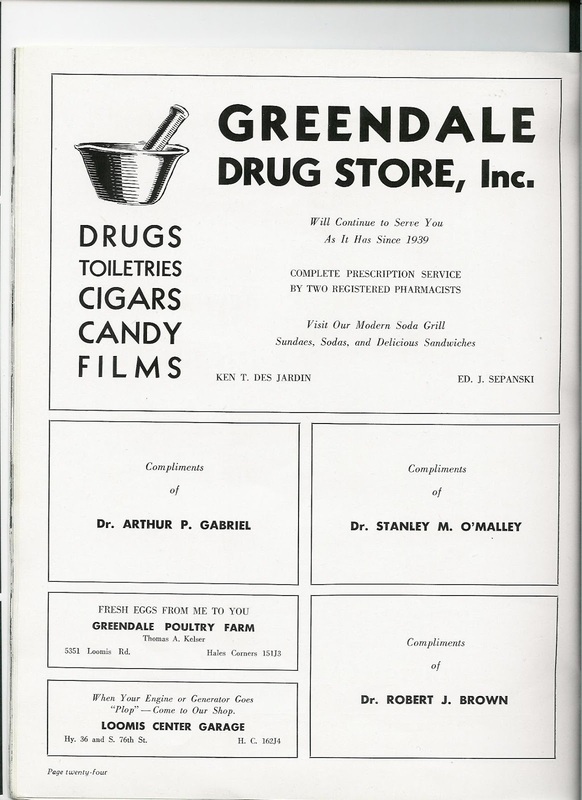 Greendale, Wisconsin is an actual town that was established in 1938 and this brochure was assembled for the town's 10th anniversary. As I am an early subscriber to NYA and a reader on a daily basis, I did notice the recent Greendale roll-out and wanted to bring "this is Greendale" brochure to your attention. A couple of years ago a colleague lent me a brochure or booklet titled "This is Greendale" which I scanned, because it was such an unlikely find at a used bookstore in Bavaria, Germany. 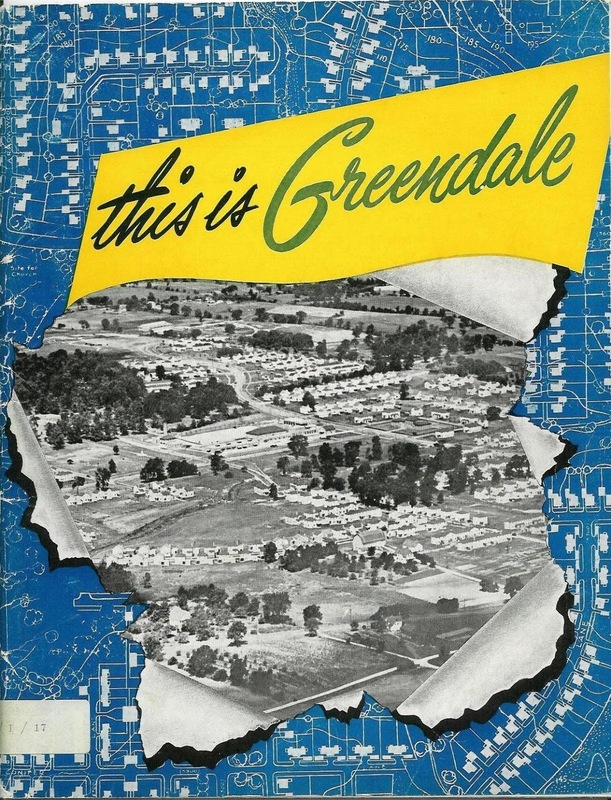 It happens to be a 46 page book on a housing project or an entire new community by the name of Greendale in Wisconsin. The booklet could have been an inspiration of sorts for Neil Young, although I know that the real Neil Greendale kind of resembles Half Moon Bay. Still the brochure's content, especially the text, breathes all the optimism of an age buried in the past now. I thought that these apocryphal archival things should be brought to your notice, also because Greendale appears to have a kind of echo phase now at NYA. Especially I liked the ads of local businesses who likely paid for the production cost of the booklet. Sometimes a journey thru the past can be really refreshing. Compare this to the blaring digital commercial world of today. Buy Me! Being a geographer and a historian of sorts I always have been interested in these idyllic plans for better living. Greendale, Wisconsin, is an Eisenhower Era / early sixties dream which in my world is linked to the flood of American TV Series such as "The Waltons", "Lassie" etc. which were received in West Germany in the late 60's and 70's, that is at a time when this best of all worlds in its real incarnation already came apart. I liked Greendale a lot and looking at it now I think that it very much anticipated what Americans would do to their country later on. (Use of hand guns, sensationalist media, Power Co.'s, a seemingly helpless one-trick-pony police force, an enstranged older generation in rural areas of the fly over country, voting for The Donald). My appreciation for Neil Young goes back to 1979 when I first heard Live Rust and being annoyed of my friends howling along with "Tonight's the Night" I was hooked for a lifetime because from early on I Have been attracted by experiences that gave me something to whet my appetite in putting up resistance to my comprehension. (I did send you a text about my 1982 Trans Tour disappointment a couple of years ago). Anyway, that's some background about me, just to help you understand. Keep up the good work and best wishes for the up-coming holiday season! Thanks again so much Dionys for sharing your find with all the Rusties! We'll work on getting the full brochure uploaded in the coming days. Indians came after somebody else (who? ), their ancestors could not have built the dam (why not?). Implication: The Indians must have taken the land from somebody, so it is not too unfair, if we took it from them. It is this self-serving and self-deceiving imp-lying that made real estate America great. "... Greendale ... anticipated what Americans would do to their country later on. (Use of hand guns, sensationalist media, Power Co.'s, a seemingly helpless one-trick-pony police force, an estranged older generation in rural areas of the fly over country, voting for The Donald)." when I wrote this in an E-Mail to Thrasher I gave my ok to make use of the information I mailed, but I did not think that my simplistic thoughts would be published with all the typos. In truth things are much more complicated, I know. Still I adhere to the idea, that at the time when Greendale was published my dear middle-class American friends were indulging in a somewhat shaken, but basically intact denial of the realities Americans were about to create for themselves. Quite a few tried to portray the US to me as an outsider to be a country that resembled Greendale, Wisconsin. And before anybody get's me totally wrong: I have been travelling extensively in the US for decades and made many good friends there, whose hospitality I appreciated very much, maybe even among people who voted for MAGA Donald. There's an episode of The Andy Griffith Show called "Sheriff Barney" in which Barney Fife is offered the sheriff's job in the town of Greendale, which apparently was a town close to Mayberry. The mayor of Greendale even pays a visit to Mayberry to meet Andy and Barney. And of course, The Andy Griffith Show and Mayberry are both mentioned in Neil's Greendale. @ Don - yes, always cool to talk to winners in the dives. @ Dionys - thanks again for sharing. And apologies for not doing a better job of proofing. As we discussed, consider this just to be a preliminary teaser until the full brochure is uploaded. We can come up with edits for the full release. That's really great that you've traveled extensively through the States. To say things are complicated here is a vast understatement. @ Greg - Interesting, indeed. The times they're a changin' ... or maybe not? @ Richard - good points about Greendale and Mayberry.